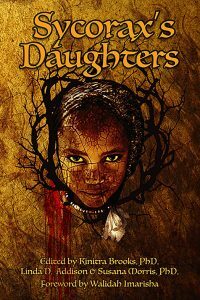 San Francisco, CA, February 8, 2017 — February is both Black History Month and Women In Horror Month and Cedar Grove Publishing is releasing Sycorax’s Daughters, a powerful, revealing anthology of dark fiction and poetry by Black women writers. The tales of what scares, threatens and shocks them will enlighten and entertain you. With an exciting forward by Walidah Imarisha, editors Kinitra A. Brooks, PhD., Award winning author and four time HWA Bram Stoker award winner Linda D. Addison, and Susana Morris, PhD, have selected pieces from new and more established authors and poets. 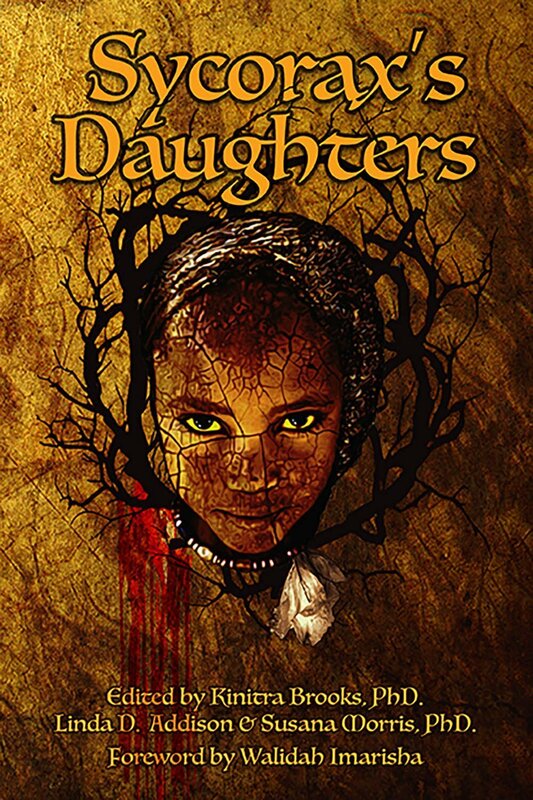 “Sycorax’s Daughters introduces us to a whole new legion of gothic writers. Their stories drip with history and blood leaving us with searing images and a chill emanating from shadows gathered in the corner. This anthology is historic in its recognition of women of color writers in a genre that usually doesn’t know what to do with us,” says Jewelle Gomez, author of The Gilda Stories. These thought-provoking twenty-eight stories and fourteen poems cover creatures imagined—vampires, ghosts, and mermaids, as well as the unexpected price paid by women struggling for freedom and validation in the past—slavery to science-fiction futures with transhumans and alternate realities. “The daughters of Africa always have been beset by horrors on these shores. This groundbreaking anthology of stories and poems courageously explores and deconstructs horror tropes of monsters, spirits, curses and death through the experiences of African American women shaped our shared history. My love for horror began with my mother, the late civil rights activist Patricia Stephens Due, who taught me that art could be a healing way to confront and give coherence to our more dangerous passages in life. That is the essence of this volume. Contributors to Sycorax’s Daughters range from established authors like Sherée Rene Thomas to newcomers, all of them writing with passion and power to delight, inform and intrigue you—oh yes, and to haunt you, body and soul,” says Tananarive Due, American Book Award winner, British Fantasy Award winner, author of Ghost Summer and My Soul to Keep. The book launch for Sycorax’s Daughter’s that will be a panel discussion with the authors and a book signing is scheduled for Saturday, February 25, 2017 from 2pm-5pm at the Auburn Avenue Research Library on African American Culture and History, 101 Auburn Ave NE, Atlanta, GA.
facebook.com/CedarGrovePublishing and on Twitter: @cedargrovebooks.